Here’s why we think Halloween decorating gets bigger every year. 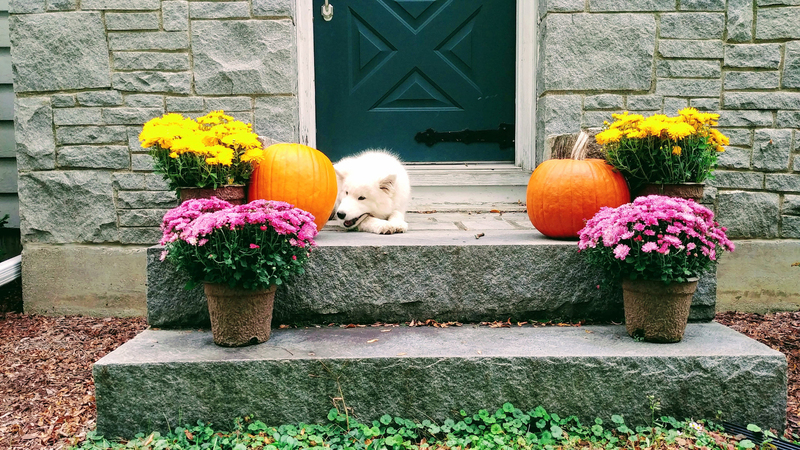 Are Pumpkins & Mums Enough? It used to be that Halloween decorations consisted of carving a pumpkin or two and setting them out on your porch with some mums. If you really wanted to add pizazz, you’d throw in a corn stalk and hay bale! 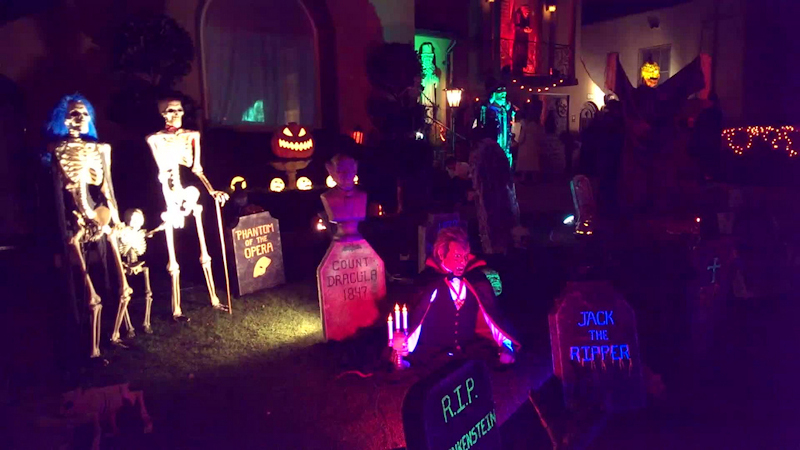 Today’s families are going all out with scary statues, yard decor, and lights, lights, lights! 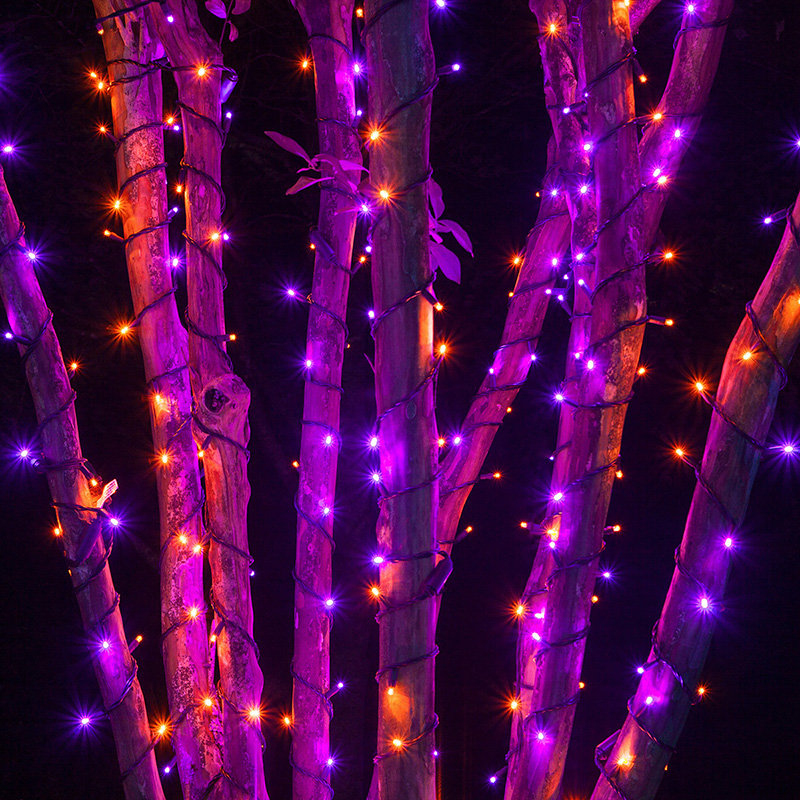 The most popular color choice for Halloween lights is the traditional purple and orange along the roofline, on bushes and wrapping tree trunks. Think Christmas lights, but in Halloween colors. It’s the Halloween spirit! When the wind is howling, and leaves are blowing, bare tree branches can make for a spooky mood. 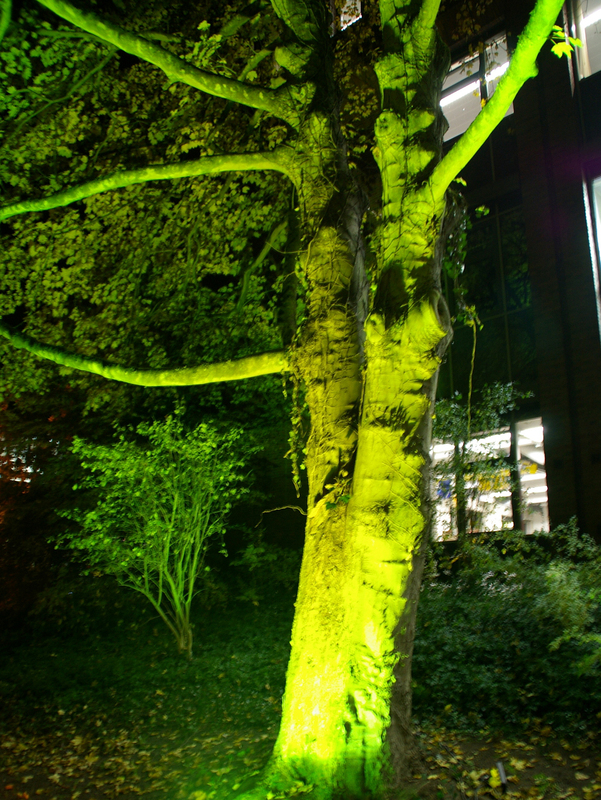 Point a purple or green light straight up a tree trunk to create the “Dracula effect”. You can also position the lights to create branch shadows that stretch across the lawn. You can create lots of cool effects by projecting images on the side of your house. Send skeletons or witches flying across the side of your home. You can also project jack o’lantern or skeleton images with silly or spooky faces. Use a fog machine on your front porch to create the effect of a creepy, foggy night. A ground fog machine will keep the fog low to the porch line. 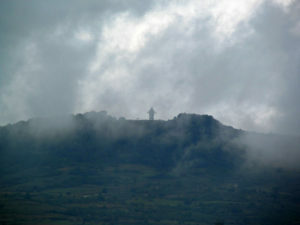 Add even more effect to the fog by strategically lighting the fog for full effect. This can be done with small spot lights hidden on either side of the entryway. New to the Halloween decorating frenzy? Don’t be scared to try one or two new tricks this year. You just might have a frighteningly good time…and your kids will love it! While we primarily specialize in Christmas lighting, we do have a limited inventory of orange and purple lights available for the Halloween season. Our turn-key service includes design, installation, maintenance, take-down, and storage. Give us a call at (815)701-0072 or complete the form below, and we will be in touch with you shortly. 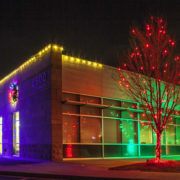 LED vs. Incandescent – Which is Best for Outdoor Holiday Lighting? What’s the Holiday? It’s All in the Lights!